Hi everyone! 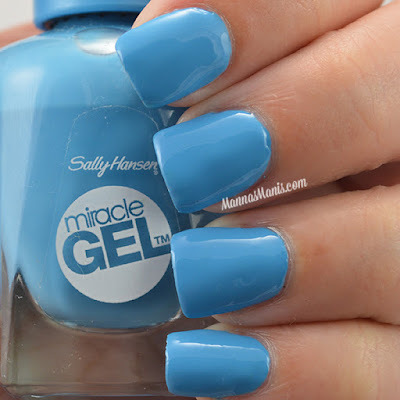 I have more Sally Hansen swatches to show you today. SH Miracle gel give you the gel look without the UV lamp! 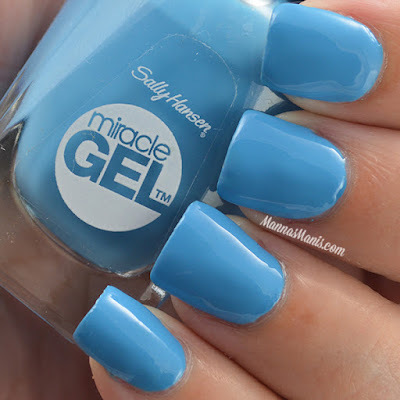 From Sally Hansen: "Swim season is coming, and with it comes Poolside Paradise: seven new shades of Sally Hansen Miracle Gel™. These fresh colors capture the bright hues of summer in the breakthrough Miracle Gel™ formula that has had everyone buzzing since its launch last year! A revolutionary development in nail color, Miracle Gel™ is the only true two-step, at-home gel manicure with no light needed. 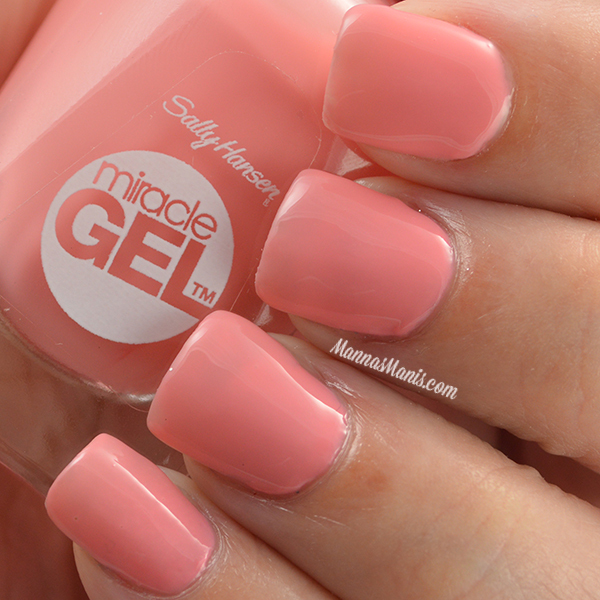 Simply apply the Miracle Gel™ color of your choice, then follow with Miracle Gel™ Top Coat. The polish is cured by natural light, so there's no need for a UV or LED lamp. Enjoy up to 14 days of color and shine, and then remove with regular nail-polish remover. (No soak—no joke!)" 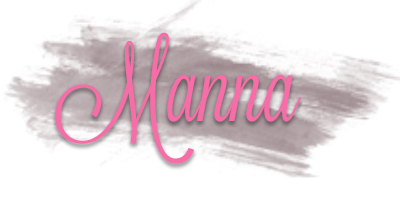 Rum Punch is a super saturated pink creme. SH says it's their #1 pedicure pick! I found the formula to be a bit on the thin side which caused minor cuticle flooding. It did level well after 2 coats. Dive Bar is a true cerulean blue creme. This was my favorite of the three, and had the best formula. No issues with formula or application. 2 coats. Pink-a-colada (how cute is this name?) is described by Sally's as a cotton candy pink. I disagree completely with that description, I think it's almost a pink leaning coral shade. Formula was sheer but leveled nicely. 3 coats. Final thoughts: Very impressed with these! I wish I'd tried Miracle Gel polishes sooner. I can't speak for the wear time (SH suggests 14 days wear time) because I swatched and removed, but when I wear it for a longer period of time, I will update this post. PRICE & AVAILABILITY: The limited-edition Poolside Paradise collection is $9.99 a piece and will be available beginning May 2015 at chain drugstores and mass retailers nationwide. 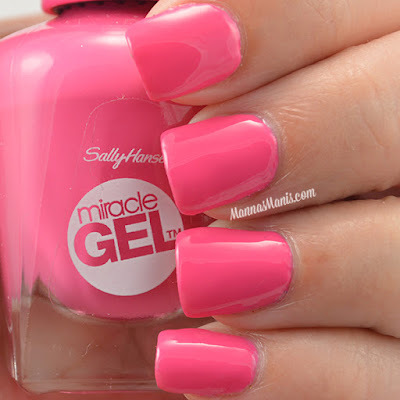 Have you tired Sally Hansen Miracle Gel polishes?